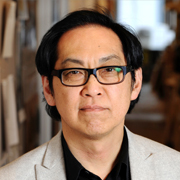 Bruce Kuwabara is one of Canada’s leading architects. He was the recipient of the RAIC Gold Medal in 2006 and was invested as an Officer of the Order of Canada in 2012. 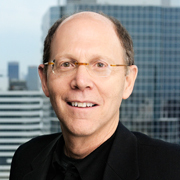 He has received public and professional acclaim for several projects of national and international significance including Canada’s National Ballet School*, the Gardiner Museum, and the Bell Lightbox for the Toronto International Film Festival, as well as the Canadian Museum of Nature in Ottawa*, and Manitoba Hydro Place in Winnipeg*. Throughout his career, his work has integrated architectural excellence and innovation, city building and sustainable design, raising the standards of Canadian architecture and urbanism. KPMB Architects, founded in 1987, has created a different model of architectural practice based on diversity, complementary and collaboration. KPMB’s approach to design and problem-solving is based on integrated creative teams resulting in projects that embrace the complexity of contemporary life, yet are elegant and materially rich. KPMB’s body of work is a demonstration of how the firm works with clients to produce consistently high quality work, regardless of type or size of each project. KPMB has received 12 Governor General’s Awards for Architecture. Born in Hamilton, Bruce Kuwabara is a graduate of the University of Toronto. He worked for two prominent architects, George Baird, and then Barton Myers. He is the first Chair of Waterfront Toronto’s Design Review Panel, and is a member of the Board of Directors for the Canadian Centre for Architecture in Montreal. 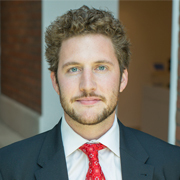 His current projects include the Remai Art Gallery of Saskatchewan*, the Departments of Economics and International Initiatives at Princeton University, the new Kellogg School of Management at Northwestern University, the Global Centre for Pluralism for the Aga Khan Foundation, and the Athletes’ Village for the 2015 Pan American Games*.